Georgetown, Guyana – (June 29, 2016) President David Granger, today, said that education is the best investment Governments can make in preparation for future development of any nation. The Head of State was at the time addressing residents and students at the Coomacka Community Ground, Upper Demerara-Berbice (Region 10) where he commissioned the 10th school bus donated under his Five Bs or ‘Boats, Buses, Bicycles plus Breakfast and Books’ Programme. President David Granger pours coconut water to officially commission the 30-seater bus, while Minister of Social Cohesion, Ms. Amna Ally looks on. Sajid Baksh, a representative of the donor, Mr. Suresh Jagmohan is at right. This intended positive effect is part of the Administration’s investment in making Guyana an ‘education nation’. President Granger said that providing transportation for school children must be seen in a wider context in which the Government is preparing to hand over the country year by year, to the next generation and the only way through this transition can be successful is if the next generation is one of school dropouts. “Education is the best preparation to run the nation… If you want to be something in life you have to be educated and the least I could do is to ensure that every single child has access to education, because I believe in equality,” the President said. He said that this programme is not a political gimmick or a vote-catcher but a much-needed intervention that is a direct response to a needs of families across the 10 Administrative Regions. He also explained that apart from enabling access to education, the Bs programme is effectively reducing inequality by creating a level playing field for all of Guyana’s children. “We want to make Guyana a society in which everyone has an equal opportunity to the good things in life… The money that you will spend every day to get to and from school can now be used to improve your standard of living at home and your quality of life,” President Granger said. He spoke of the nexus between education and gainful employment and urged residents particularly youths, to make full use of opportunities for education so that they can develop the technical ‘know how’ to venture into areas like agro-processing and value-added production. 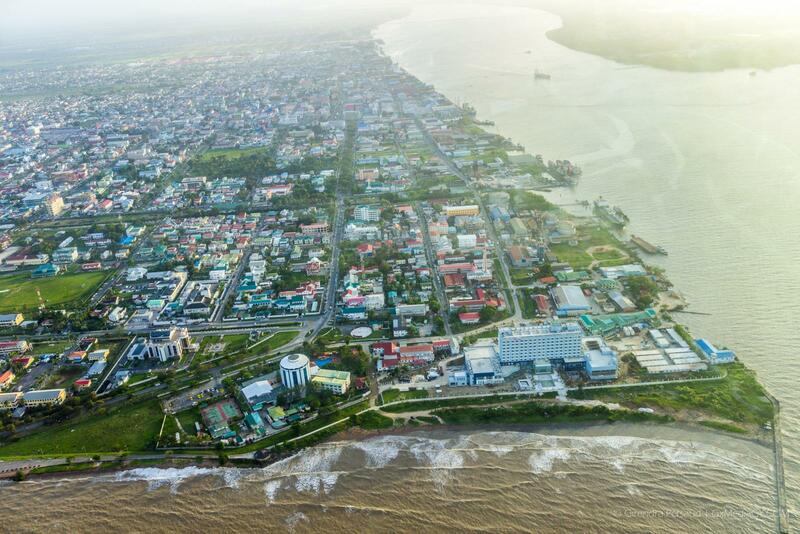 “This region is rich in potential but the wealth is leaving the country because we are exporting raw materials instead of processing those materials here… You could provide employment for yourself [right here in Region 10],” the Head of State said. Meanwhile, Minister of Social Cohesion, Ms. Amna Ally, whose Ministry has been instrumental in garnering the support of corporate Guyana, said that in a little over one year, the Coalition Government has achieved a great deal and key among its successes is the Five ‘Bs’ programme. She said that to date, 10 buses, nine boats and hundreds of bicycles have been distributed to communities across the country. The bus, which was commissioned today, will benefit children from Coomacka, Siberia, Nottinghamshire and other villages along the Old England stretch in Region 10. Mayor of Linden, Mr. Carwyn Holland said that for years, children from villages like Coomacka, had to walk or ride for long distances with the alternative of paying fares that are way too expensive for families in that area. He also said that construction of the roads is also in the pipeline and this will bring further relief to residents of that area. Regional Education Officer (REDO), Ms. Marcia Paddy-Andrews said that the two boats are being carefully monitored and managed that has been bringing relief to parents. 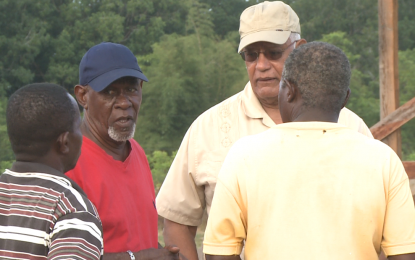 She said that one of the vessels is being used to ferry 32 children from the Lower and Upper Berbice River to Kimbia, while the second is transporting about 45 children from places like Gold Hill in the Demerara River to Linden. Responding to recent reports in the press about alleged misbehaviour on the boats, the REDO explained that the children are never unsupervised while on-board the boats, a captain and a boat hand are always present. These two officials have a register and an incident book in which any misbehaviour is recorded. She said that to date, no report of misconduct has been reported. “I want to assure parents that we are monitoring the boats on a daily basis and if they are any such incidents it will be dealt with immediately,” Ms. Paddy-Andrews said. The REDO also reported that the Region has already rolled out a breakfast programme, which has aided in an increase in attendance and enrolment.